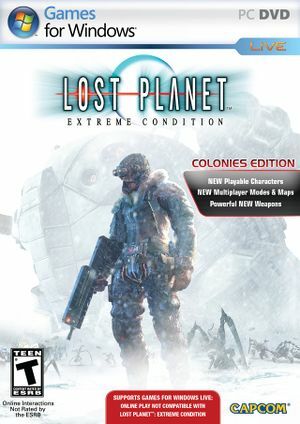 Updated version of Lost Planet: Extreme Condition with a Human vs Akrid multiplayer mode, a selection of new multiplayer maps, characters and weapons, and four new single-player modes. Cross-platform multiplayer with Xbox 360 players. 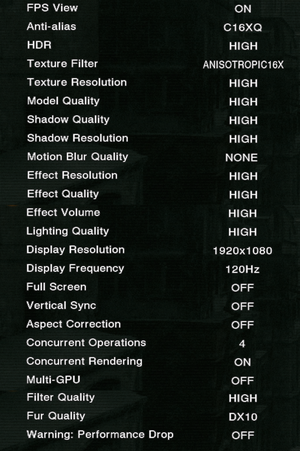 DirectX 9 and DirectX 10 demos can be downloaded here. They include two playable levels and a benchmark. 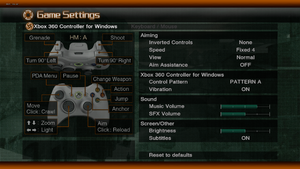 For setting a custom resolution see Widescreen resolution. Audio and video is out of sync during cutscenes (cap the frame rate at 60 FPS). Change the Resolution= line to the desired resolution. See the WSGF entry. If that doesn't work, follow the alternative solution below. Open LostPlanetColoniesDX10.exe in a hex editor like HxD. Change 00 00 48 42 (50) to a higher value, for example 00 00 88 42 (68). Floating Point Converter can be used to convert values. Supports remapping thumb mouse buttons. Retail only. The language files available. Multiplayer is not compatible with Lost Planet: Extreme Condition. 16 Cross platform with Xbox 360 players. When running through snow while carrying standard weapons the game stutters about once a second, probably because of animation or physics bug, since framerate remains stable. The correct dxgi.dll file was modified on 11/20/2010 or 11/21/2010 (depending on region) and is 496 KB. The correct d3d10.dll file was modified on 7/13/2009 or 7/14/2009 (depending on region) and is 0.98 MB. Copy both files to your Lost Planet installation folder, where the .exe files are. ↑ 2.0 2.1 File/folder structure within this directory reflects the path(s) listed for Windows and/or Steam game data (use Wine regedit to access Windows registry paths). Games with Steam Cloud support may store data in ~/.steam/steam/userdata/<user-id>/45720/ in addition to or instead of this directory. The app ID (45720) may differ in some cases. Treat backslashes as forward slashes. See the glossary page for details. This page was last edited on 7 April 2019, at 15:03.